Keeping a commercial business comfortable is difficult, especially with the amount of space that you’re working with and how many people you have to account for. Overall, the level of comfort that you are able to provide allows for people to get work done and not have an unbearable time at the office, so it makes sense that you’d want your HVAC system to be working as intended. At Valley Mechanical Corporation, we have done our fair share of work on commercial HVAC systems that are dealing with an issue or two. Here are some of the most common issues that we find when out on a job. 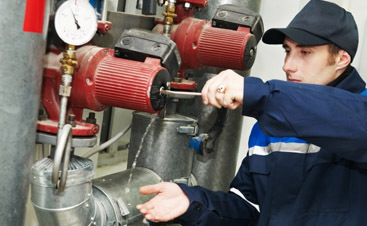 One of the most common reasons that we get calls is because commercial HVAC systems are making strange and unusual noises. This can be a very unnerving thing to hear mostly because it’s pretty hard to tell how serious the issue is or where the problem itself is. Issues creating noises could range from problems with the fan to loose nuts and bolts. All of these issues can start off as small and work their way to creating some serious damage that could result in repairs or, in a worst-case scenario, entire replacement. Get any strange sounds that you hear looked at immediately so that we can determine just how serious the issue really is. Running a commercial HVAC system can be quite expensive as is, and there are a few different reasons that the amount you’re paying for your electric bill could be changing. 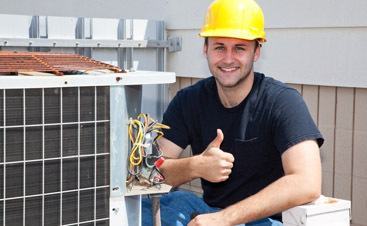 The reason that we usually see a change in price for the running of your HVAC system is because it’s doing more work. Whether that mean because there is a change in temperature outside and the usage has spiked, or because there is something going with some of the parts of your commercial HVAC system, this is something that is always good to have a professional stop and check out. If your unit is working just fine, this may be a good time to ask and find out what other cost efficient techniques you have at your disposal in regards to lowering the cost of your electric bill and maintaining a comfortable office space. The ultimate goal of any HVAC system is to have a system that makes maintaining a comfortable temperature within a space, easy. For commercial buildings that are a lot more difficult, but it’s also much more noticeable when the temperatures do start to fluctuate. If you are finding that it’s hard for the space to remain comfortable, whether it be with the heating or cooling aspect of the system, if either one of them isn’t providing constant levels of that comfortable temperature or the overall constant temperature seems to fluctuate, call our team and we can come and check it out for you. 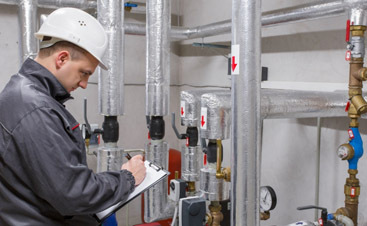 If you’re noticing any issues with your commercial HVAC system, reach out to the team of professionals at Valley Mechanical Corporation. Our years of experience and extensive knowledge can provide you with the answer you’ve been looking for!